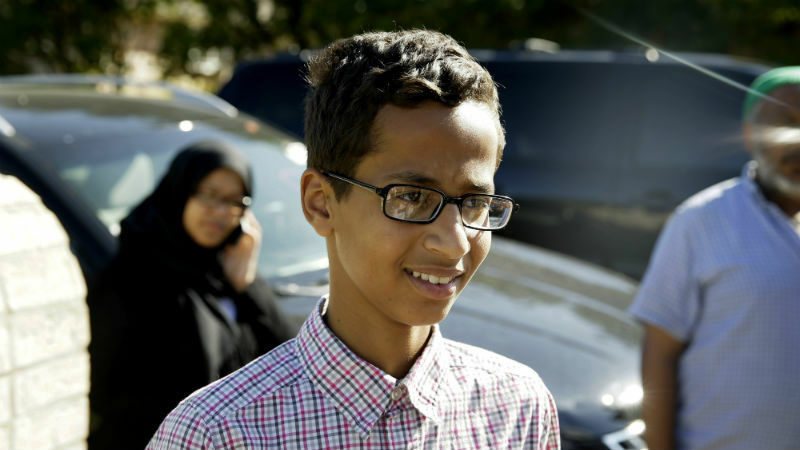 Ahmed Mohamed, the 14-year-old robotics enthusiast arrested last month for bringing a homemade clock to school (teachers apparently thought it was a bomb), has accepted a scholarship from the Qatar Foundation to study at its Young Innovators Program. 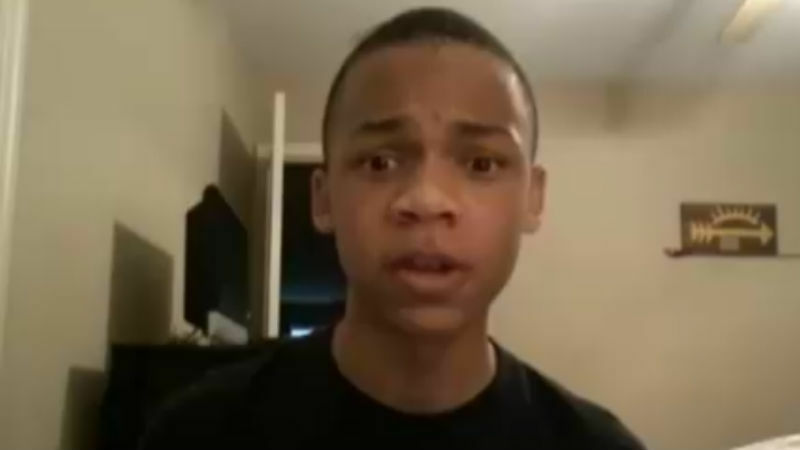 CJ Pearson, 13-year-old conservative activist, made headlines Friday with his YouTube video criticizing President Barack Obama for inviting Ahmed Mohamed to the White House. Now he says that the President blocked him on Twitter. 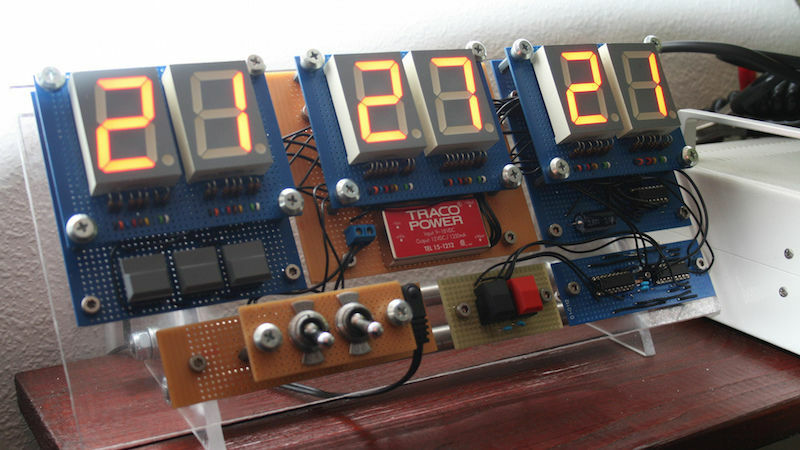 Ahmed Mohamed has waited patiently to show President Barack Obama the homemade clock that got him handcuffed at his Texas school after school officials mistook it for a “hoax bomb.” Now, according to police, the 14-year-old can. 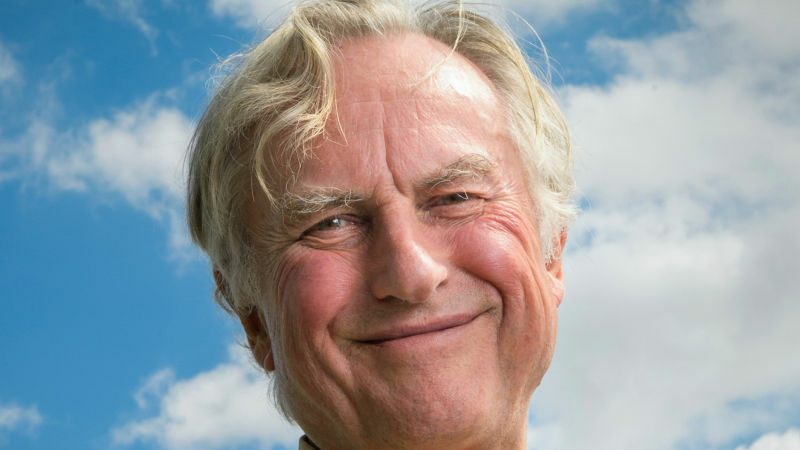 Influential tweeter Richard Dawkins, whose intellectual rigor never ceases to amaze, makes the very good, necessary, and important point that, in claiming his reassembled clock as an “invention,” Ahmed Mohamed, the 14-year-old Texas teenager arrested last week on suspicion of building a bomb, committed fraud. 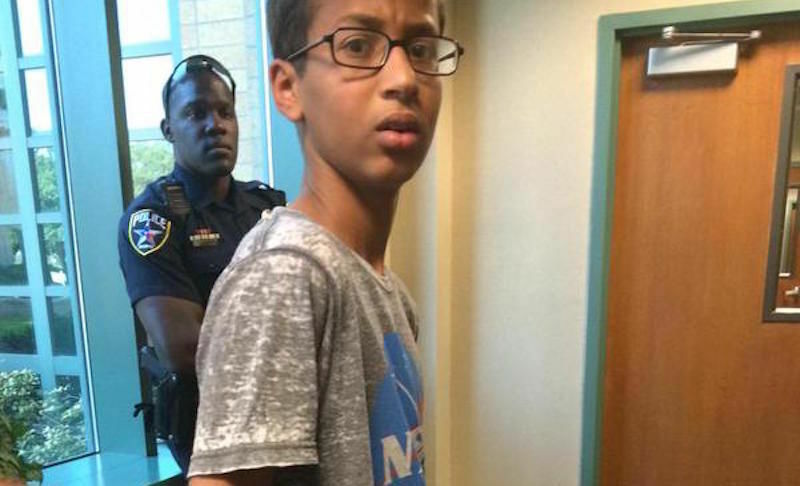 Yesterday Barack Obama joined the groundswell of social media support for Ahmed Mohamed, the 14-year-old high school student detained by the police for being seen with an electronic device and being a Muslim named Ahmed Mohamed. Good for Obama. 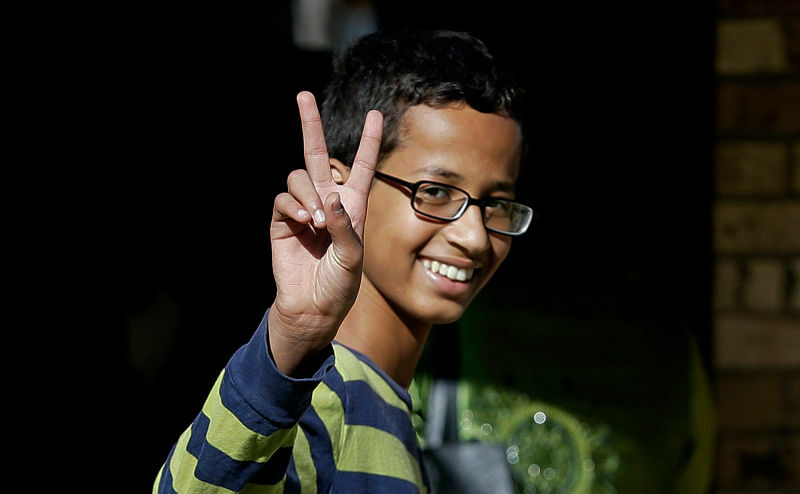 And good for Ahmed that he wasn’t building a clock in Yemen. 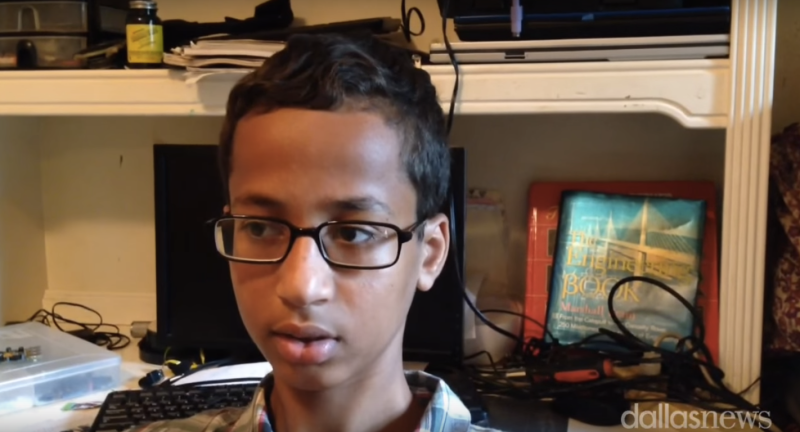 This week, a Texas school system had a Muslim teenager arrested for building a clock. But for residents of Irving, TX the school’s knee jerk reaction probably wasn’t much of a surprise—after all, this is a school board that once requested a study to ensure its curriculum wasn’t too pro-Islam. When Terry Jones burned a copy of the Quran outside of his Gainesville, Florida, church in 2011, Mohamed Elhassan Mohamed didn’t riot, like some outraged Muslims did in the Arab world, or protest peacefully, like many fellow followers of Islam did elsewhere. 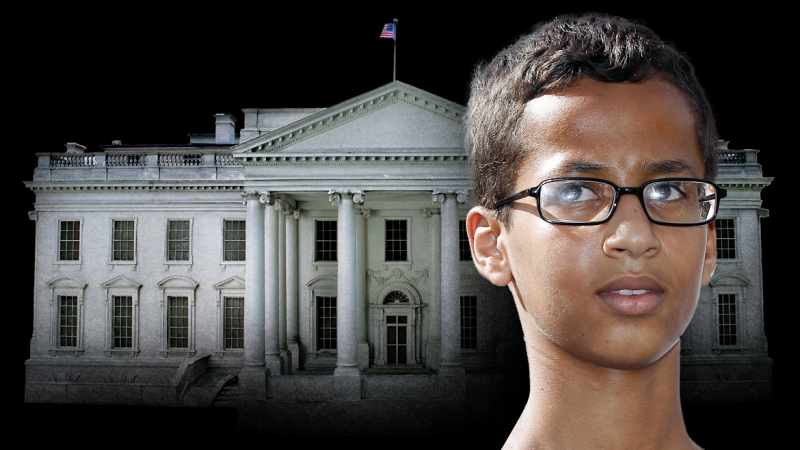 He didn’t even stay home, turn off the TV, and try to ignore Jones’ provocations. 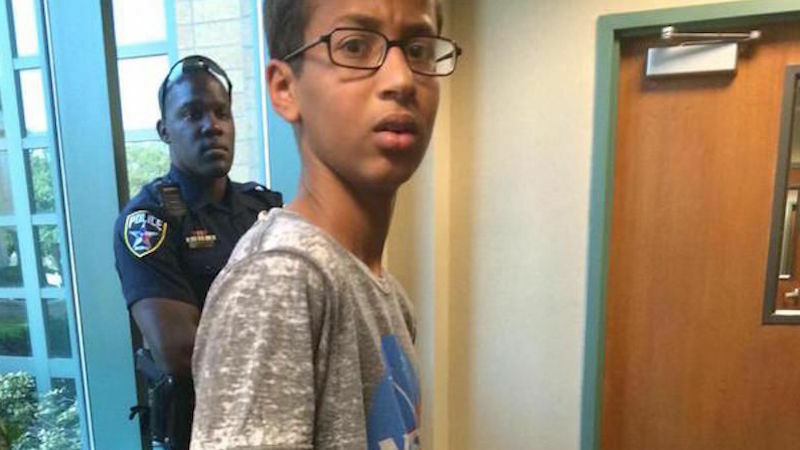 Mohamed was there, standing with Jones at the pastor’s Dove World Outreach Center, just before Jones burned the book. There are sprawling industries and self-proclaimed career “terrorism experts” in the U.S. that profit greatly by deliberately exaggerating the threat of Terrorism and keeping Americans in a state of abject fear of “radical Islam.” There are all sorts of polemicists who build their public platforms by demonizing Muslims and scoffing at concerns over “Islamaphobia,” with the most toxic ones insisting that such a thing does not even exist, even as the mere presence of mosques is opposed across the country, or even as they are physically attacked.